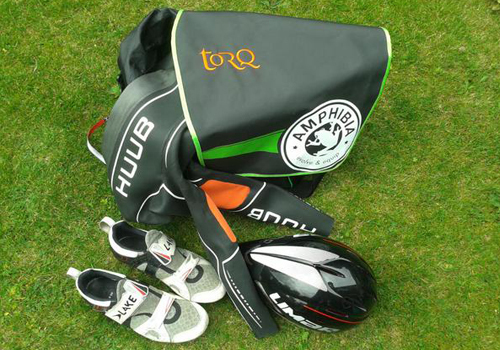 Amphibia Sport have been associated with various TORQ Race Teams over the past few years with their amazingly versatile X-Bag, and we’re pleased to say that Amphibia will be present with us again in 2016. 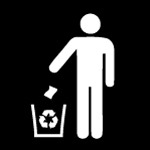 The X-Bag is now on its second facelift and is more versatile than ever. The X-bag is big enough to carry most, if not all, of the equipment needed by the teams, all in one compact and easily transportable bag. The X-Bag itself is highly water resistant; this means that should you hit wet weather on the way to your race or training session, your kit will still be dry and good to go when you arrive. On the outside of the bag there are elasticated net pockets, which are ideal for placing your sports bottle in to avoid any unwanted spillages on your equipment or kit. 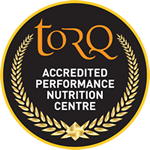 (Incidentally, should you need a bottle which is guaranteed not to spill, then why not take a look at the TORQ Camelbak Podium Bottle with lockable valve – available on the TORQ website). The X-Bag has a main padded shoulder strap with integrated, zipped pocket for keys and the like. It also has a strap to go around the waist for when you’re cycling with your bag or just want added security and less movement. The inside of the X-Bag is accessed via the very large flap top, secured by a very big and easy to use clip – ideal when your hands are cold – and gives access to the immense, kit devouring void that the X-Bag offers. There are two neat features of the X-Bag when you take a peek inside. The first is the 100% waterproof, removable internal bag/pocket, which simply velcros to the side of the bag. This pocket/bag will easily accommodate a wetsuit, swimwear, or just about any wet and dirty kit that you quite simply don’t want near any of your other gear, and stows it away neatly and securely. The second neat trick the X-Bag has up its sleeve, is the removable changing mat, which is similarly attached to the inside of the main compartment within the bag. This is a small and neat, easy-clean, neoprene mat which, quite simply, rolls out and allows you to stand on it to change your footwear. This incredibly handy feature, prevents you getting your favourite socks grubby and/or sand between your toes! 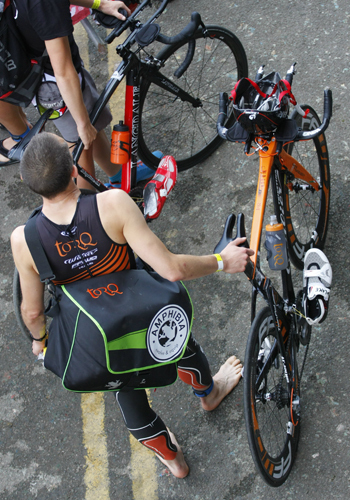 All in all, the X-Bag has been a staple with the TORQ Triathlon Team over the last few years and, in our opinion, is certainly the best and most versatile sports bag out there in the market today.  Please take time to have a little look at Amphibia’s video HERE and also make time to check out their website, as they have heaps of other great equipment to help make your sporting life easier – and hey, why not get hold of one of those excellent X-Bags from them too, whilst you’re there!